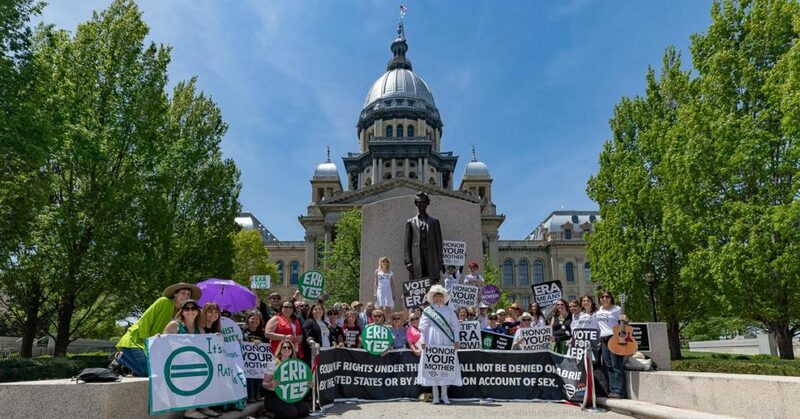 Last week Illinois became the 37th state to ratify the Equal Rights Amendment, putting us closer than ever before to full equality for all Americans. Momentum is growing and we must keep pushing forward to ratify the 38th state NOW. 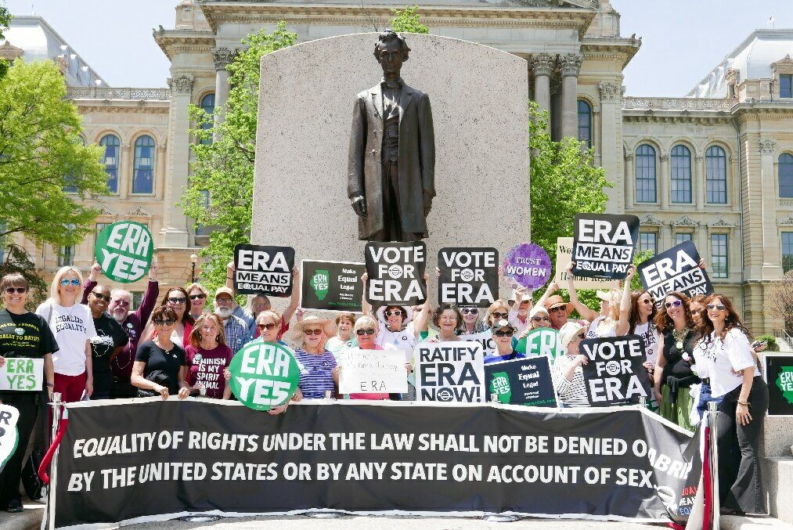 Equal Means Equal has been on the ground working with activists in many unratified states to persuade legislators that the time is now to make women’s equality a constitutional reality in America. We have been hearing from activists and lawmakers around the country that they are eager to be the 38th state in this important battle. ONE STATE IS ABOUT TO TAKE THE ERA OVER THE FINISH LINE. WHICH STATE WILL IT BE? States that have the strongest ratification potential include Virginia, Arizona and North Carolina, where there are still two weeks left in the 2018 session… (hmmm…. more on this to come) Other states with organized and growing numbers of activists on the ground include Florida, Georgia, Missouri and Utah. Now to the part of this letter that is less comfortable but equally important. Some people are moving away from the three-state (now one state) strategy. WE are too close to victory to let the ERA be derailed – for any reason whatsoever. PLEASE PLEASE PLEASE DO NOT GET CAUGHT UP IN A DISINFORMATION CAMPAIGN REGARDLESS OF THE SOURCE. One more state is all we need for women to be granted constitutional equality once and for all. The so-called deadline is not a legal barrier. We are certainly aware of the time limit Congress imposed on the ERA, but we are confident that the deadline is not constitutional. So, to be clear, we do not need Congress to extend the deadline, and we do not have to start over and ask Congress to pass a new ERA bill. When we reach thirty-eight states, we simply need the courts to uphold and respect this hard fought win. Equality for all is the heart and soul of this country. We are proud and determined to see the United States of America do the right thing and ratify the ERA now. No more excuses. Women have waited long enough for basic respect as fully equal human beings under the law.